The story was updated 2/10/19 at 3:10pm. Students at Wednesday’s basketball games might have been surprised to see (and hear) a new addition to the student section. 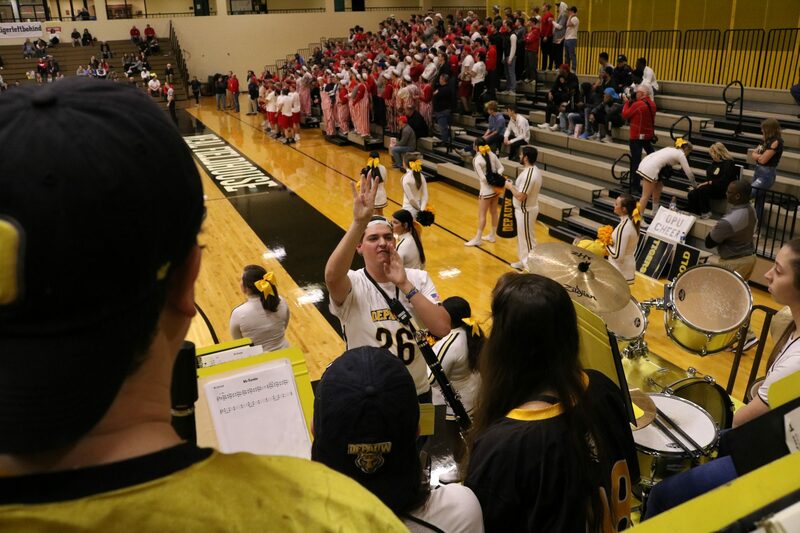 Under the direction of sophomore, Jon Tebbe, the Tiger Pep Band played for both the men’s and women’s teams from the stands. Tebbe joined the pep band after first-year music student, Philip Lehr, asked him to. Lehr started planning to start a pep band back in August, and it has since grown to twenty current members. 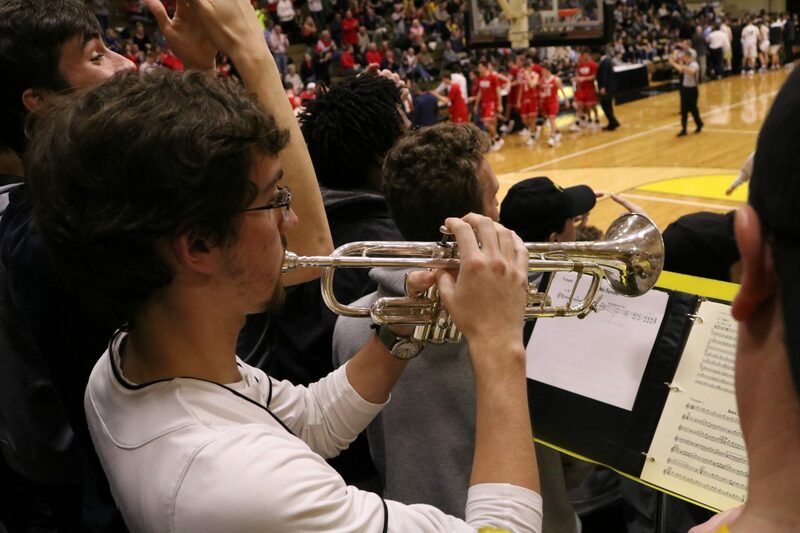 First-year flutist, Matt Starkael also joined the pep band after being asked by Lehr. “I enjoy playing in the pep band because it allows me to meet new people, go to the sporting events, and still be able to play music. I like being able to show my school spirit in a musical and athletic setting,” said Starkael. While the pep band takes some experience to join, you do not have to be in the School of Music to participate. In fact, only about a third of the group is actually currently studying music. The group is entirely student-led and rehearses for an hour every week in the GCPA. They also recently received new jerseys to wear during games. Tebbe usually directs the weekly rehearsals. 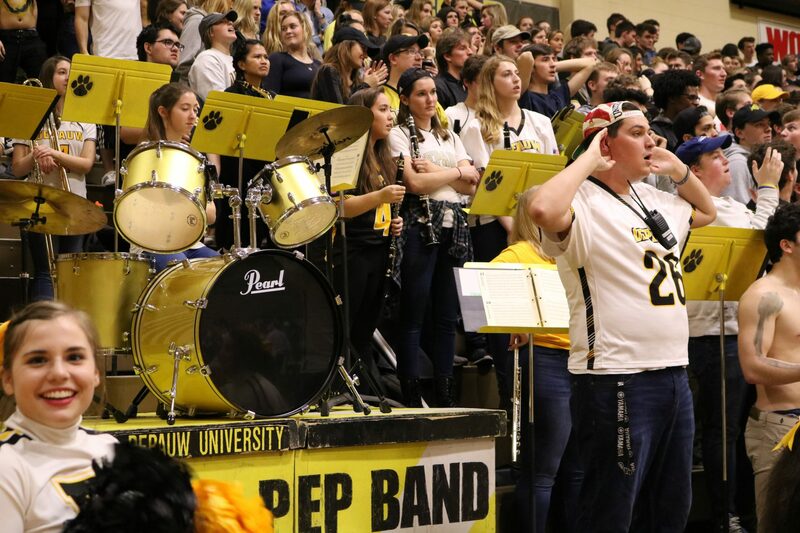 The Tiger Pep Band will play their last game on Saturday, Feb. 16 against Wooster. If you have any interest in joining, please contact Philip Lehr. Michael Aikin, first-year, plays the trumpet. Jon Tebbe, sophomore, keeps the band on beat. 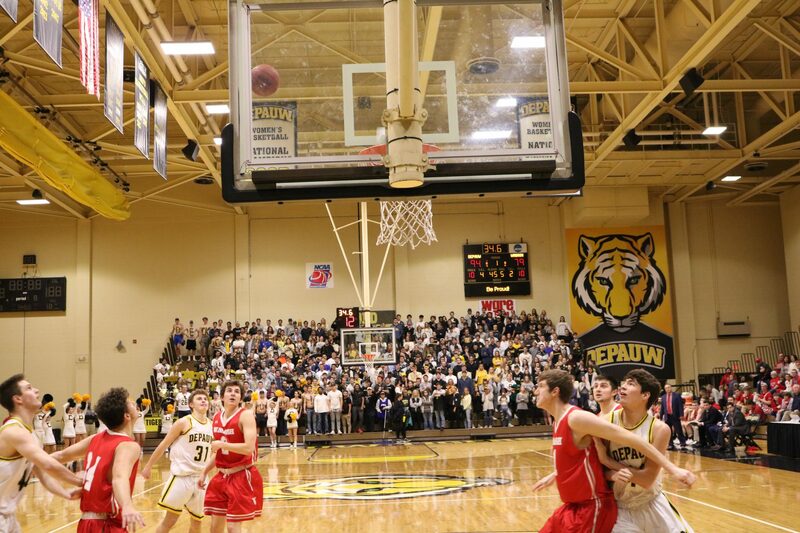 Many DePauw students came out to cheer on the tigers in a game earlier in February against Wabash.